Global Notes: IDEA Summit 2016 Registration Now Open! IDEA Summit 2016 Registration Now Open! Your tax-deductible donation of any size will help us continue to deliver relevant and rewarding programs. Do you know someone who might be interested in receiving these emails? 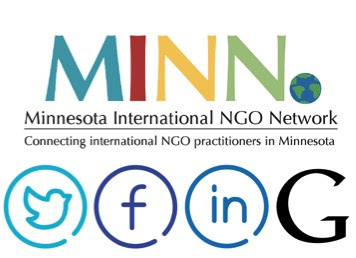 The Minnesota International NGO Network is a forum for international practitioners and supporters to network and exchange professional experiences and best practices. You are receiving this email because you signed up, but you can unsubscribe any time by clicking the link below. 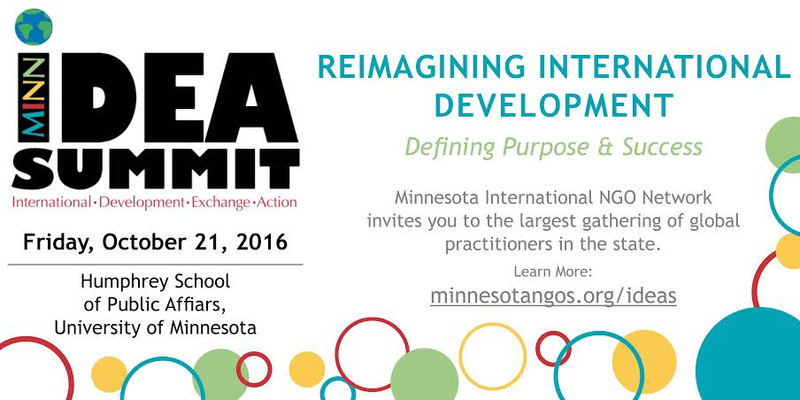 Registration is now open for MINN's fourth annual IDEA Summit on October 21st! Secure your spot today! Held at the Humphrey School of Public Affairs, the MINN IDEA Summit provides opportunities to network, exchange ideas, and learn from other global practitioners involved in international development. This year's theme is Reimagining International Development: Defining Purpose & Success. Summit attendees will attend breakout sessions on a variety of topics, hear from a fantastic keynote speaker (to be announced soon! ), and enjoy breakfast and lunch in between. For more information, see the IDEA Summit webpage. Guided by a commitment to sustainability, a desire to empower through education, and a focus on accountability, WellShare International partners with communities and health care providers to design, implement, and evaluate health programs that respond to the needs of each population they serve. WellShare works both locally and abroad, serving refugee and immigrant communities in Minnesota and underserved rural populations in East Africa. 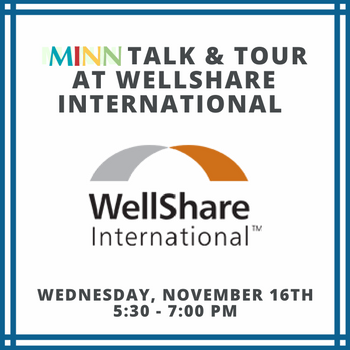 Join MINN on Wednesday, November 16th for a Talk and Tour of WellShare International to get an in-depth look at the organization in a small group setting. The agenda includes an overview of the organization by Diana DuBois, Executive Director, and a private tour of their office. There will be a networking opportunity following the Talk and Tour at Ice House starting at 7 pm. The Ice House event is open to all who would like to network with the MINN community and WellShare International staff! Preferred candidates are connected to the Minnesota immigrant and/or refugee communities, have demonstrated interest in international development, and/or have demonstrated dedication to working in similar fields. Submit your Fellowship Application by September 23rd! MINN has hundreds of visitors to its website and a twice monthly newsletter that is distributed to over 1700 individuals who are interested in international humanitarian causes. If you know of an event that you feel would be of interest to this community, please consider one of MINN's three levels of promotion.